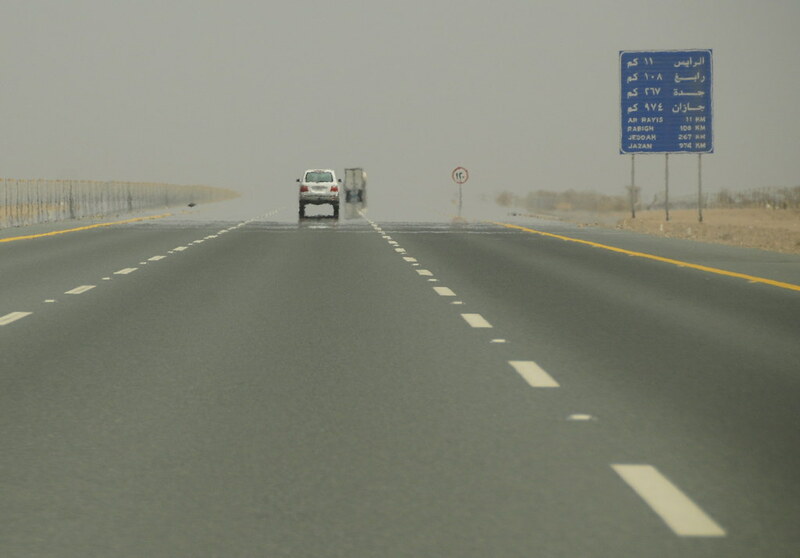 We drove to Yanbu' in the evening and saw very little. This is my second time on this road so I knew there wouldn't be much action on the way back either - even if it was during daylight. I did find the mirage on the way back rather attractive. It remained with us most of the journey and we seldom saw the horizon. (Completely unrelated): I'm playing with some macro stuff right now...let's see how that turns out!